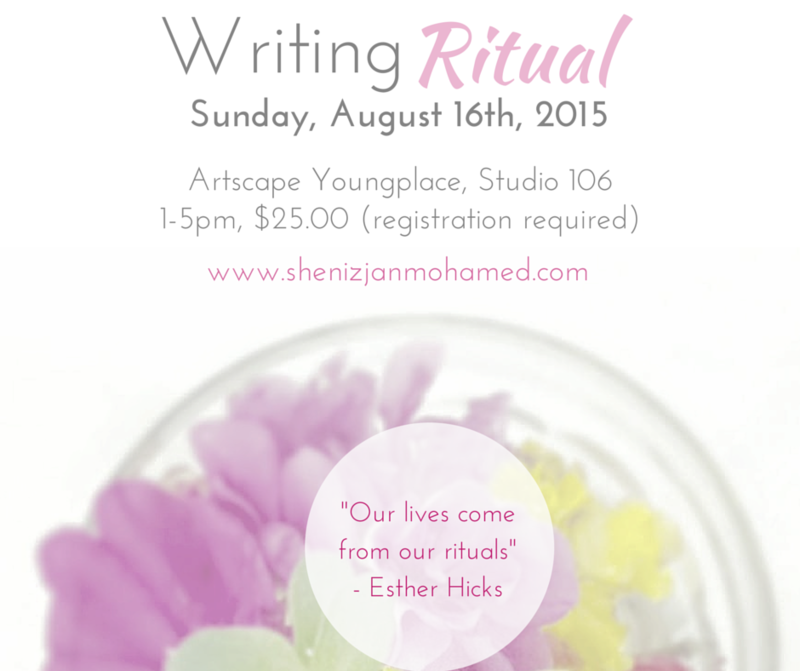 Join Arts Educator and Author Sheniz Janmohamed for an inspiring, engaging writing workshop: Writing Ritual. In this workshop, we will explore how ritual impacts and influences our daily lives and creative practices. We will write “ritual” poems, develop new creative rituals and make our own nature mandalas. Materials & Vegetarian/Vegan-friendly Snacks included. Please email/message host to discuss cost.